VIPAccessEXCLUSIVE: Forever In Your Mind Updated Interview With Alexisjoyvipaccess At BraveFest LA! Three incredibly charming and magnificently talented guys all together in one group – well, they are just bound to be “Forever In Your Mind”! 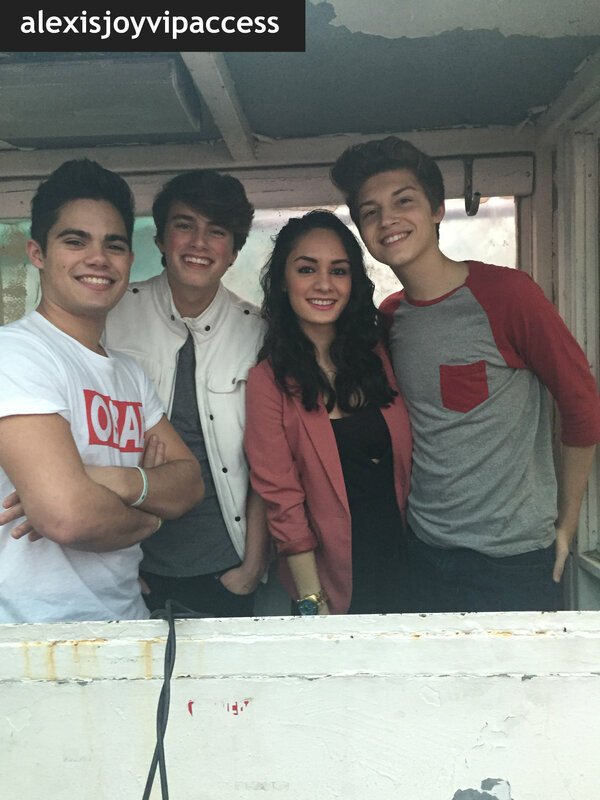 The phenomenal Emery Kelly, Ricky Garcia and Liam Attridge together make up the boy band sensation we all love and adore and they truly are a dream team. The second these remarkable fellows entered into the entertainment world, they instantly stole the hearts of many and swept fans off their feet. From performing live on stage to getting ready for the release of their upcoming album to touring around various places and meeting all of their excellent fans – Forever In Your Mind is without a doubt taking over the world! Ricky, Emery and Liam are three of the most genuine guys you could possibly meet and they always are so fun to be around. What else can I say? Forever In Your Mind is one of a kind! I, Alexisjoyvipaccess had the HONOR of covering the BraveFest Hollywood event and had the great pleasure of catching up with and interviewing the stupendous Forever In Your Mind again at the event. Forever In Your Mind dishes exclusively to Alexisjoyvipaccess all about crazy fan encounters they have had, what their favorite song to sing for their fans is and so much more only in our updated VIPAccessEXCLUSIVE interview! Forever In Your Mind even spills on all their thrilling, upcoming projects – hear all about it in our updated VIPAccessEXCLUSIVE interview at BraveFest LA! As you can see, Forever In Your Mind always manages to make our interviews an absolute blast filled with so much joy and laughs. Always a great time interviewing these incredible guys and thanks for another wonderful interview, Forever In Your Mind! Check out my updated VIPAccessEXCLUSIVE interview with the outstanding Forever In Your Mind at BraveFest LA below! Follow BraveFest on Twitter: @BraveFestTour to see when this amazing tour is coming to a city near you! Previous VIPAccessEXCLUSIVE: Jordyn Jones Interview With Alexisjoyvipaccess At BraveFest LA! Next VIPAccessEXCLUSIVE: Emblem3 Sends Out A Message To Their Fans With Alexisjoyvipaccess At BraveFest LA!